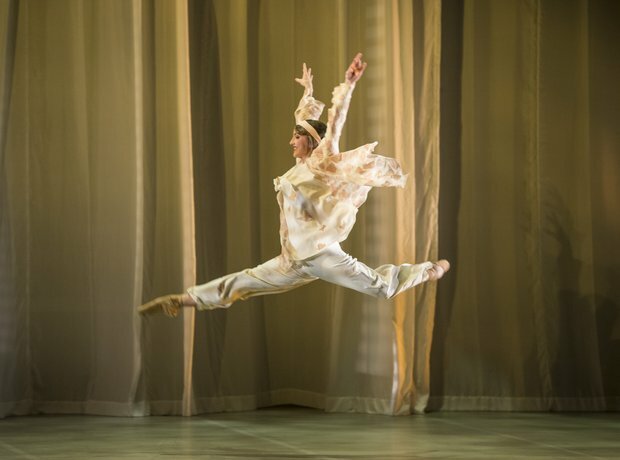 The Northern Ballet's new production of The Great Gatsby is perfectly timed to coincide with Baz Luhrmann's eagerly awaited movie adaptation, with Leonardo DiCaprio. Here are all the pictures of the incredible staging, touring the UK at the moment. The production itself features the music of film composer Richard Rodney Bennett. 7. "I like large parties, they're so intimate..."
10. "Daisy tumbled short of his dreams..."
14. "In his blue gardens men and girls came and went like moths..."
20. "Her face was sad and lovely with bright things in it..."